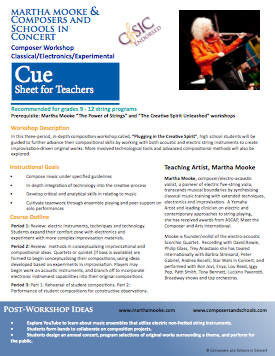 Martha Mooke has been one of Yamaha's leading electric string artist/clinicians for the past decade, traveling worldwide presenting workshops, masterclasses, lectures and concerts. Whether it's a one hour seminar, 3-day school residency or as a visiting faculty member, Martha's unique brand of experience, creativity, technique and philosophical approach to making music is an invaluable asset to students and teachers alike. 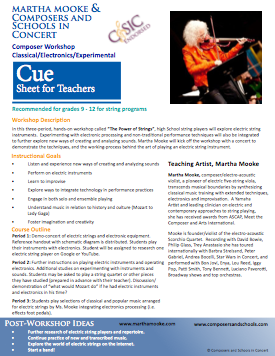 Email Martha Mooke at music@marthamooke.com for further information, dates, and availability of any of the workshops listed below. "Am I allowed to do that? (Cultivating the Creative Spirit)"
Tapping the creative muse  empowering and teaching methods to access the creative voice using nontraditional techniques, composition, improvisation and experimentation. Overcoming inhibitions and supporting the imagination to create. 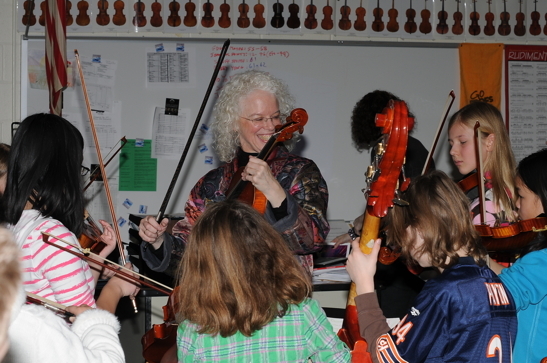 This session is adaptable to accommodate all grade levels and playing ability. 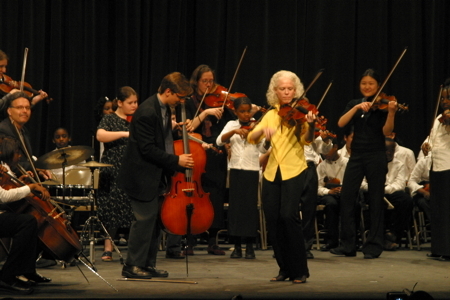 Martha Mooke, Electric 5-string Violist/Composer/Progressive Recording Artist, presents a demo/concert of electric string instruments, electronics (effects processors, amps, other equipment), and new approaches to playing including extended techniques. Participation by players and non-players alike is encouraged. Individual or group coachings and masterclasses are also available. Note: This clinic can be geared towards students of any grade and ability, teachers who want to learn and work with these instruments and equipment, amateurs and professionals of any level and for non-musicians for an unique perspective in new music appreciation. "Zen and the Art of Conceptual Improvisation"
Follow Martha Mooke, Electric 5-string Violist/Composer/Progressive Recording Artist, through the underexplored territory of feeling and playing music from the inside out. This session is just the thing for those who are inhibited about playing "off the page". No need to worry about playing the "wrong" notes! Bring your instruments and an open mind. Group or individual sessions available for all levels of players. This is an opportunity for concert/symphonic players to express a creative instinct that they may not yet have explored. Unique vehicle for players of all levels to begin the compositional process through improvisation. From "E to C" or "A to F", electric or acoustic, Five-string viola pioneer Martha Mooke explores the seduction of the extra strings(s) and the emergence of a new repertoire playable by violinists and violists alike. "Writing for 21st Century Strings: New techniques, electronics and improvisation"
Description: This is a unique opportunity for composers and string players to interact with Yamaha Artist/Clinician Martha Mooke as she discusses and demonstrates new techniques, integration of electronics and improvisation in the rapidly growing field of electric and alternative approaches to string playing.